Well that’s it, winter is over and we have been to our first event of 2015. On top of that we have the most amazing news that Simple System Horse Feeds have sponsored the Team Lamy-Wright girls for 2015. How cool is that?! This feed has made a huge difference to Lily and is a major contributing factor in having Ehren back in work. We are seriously chuffed! But let’s go back a few weeks and fill in the gaps…. Big Lexie went to Merrist Wood for the JAS90 (hors concours) just to make sure that she is keen and up for this jumping mallarky. She is on fine form, deliriously happy to be back in work and has since gone off on loan to be a dressage diva with some eventing thrown in for good measure. 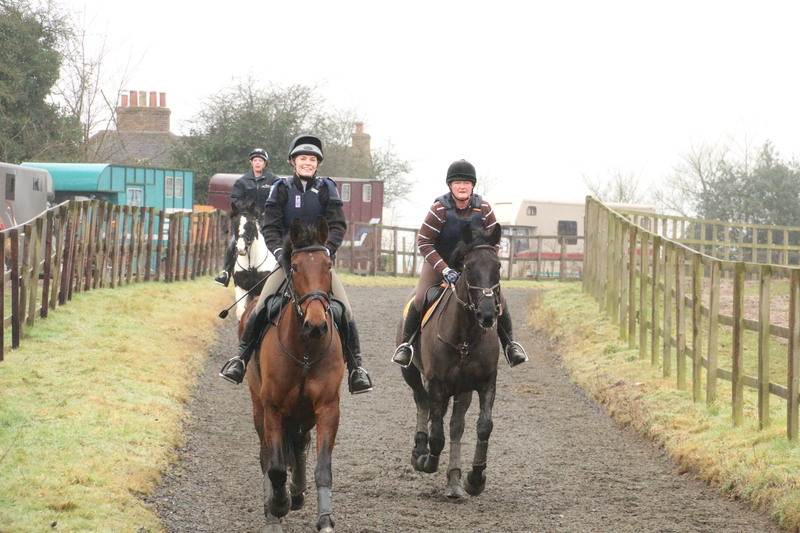 We bumped into Lexie, Beverly and mum Clare at the Munstead pre-season combined training. 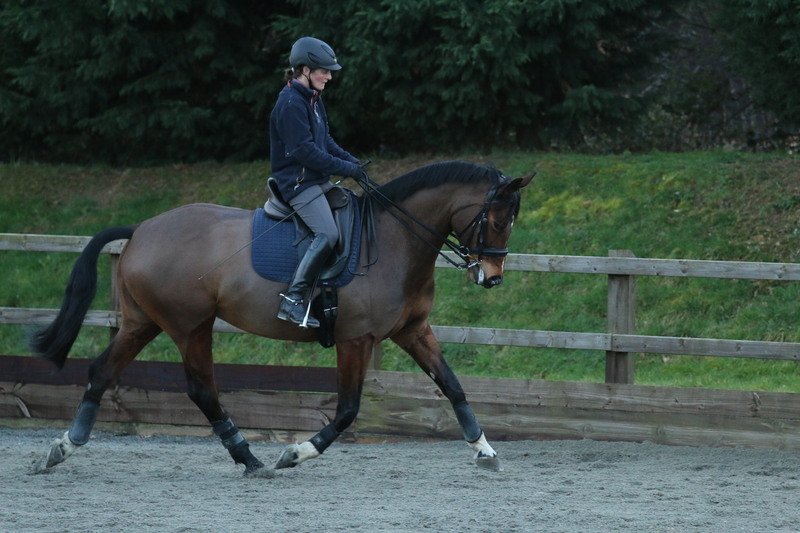 After only having her for a week they did a nice dressage test and jumped a super clear in the 80cm clear round. We were so pleased, Lexie seems really happy with her new jockey. Little Lexi went back to Duckhurst for some SJ practise and was an absolute juvenile delinquent; standing on two legs waving her under carriage about because she didn’t want to leave the collecting ring. 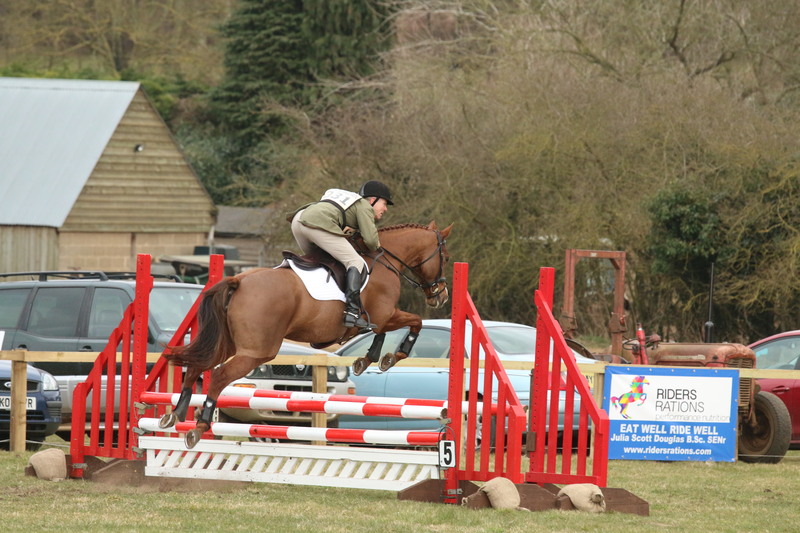 She did however jump a double clear in the end so not all bad, but I came home pretty cheesed off with her. She definitely has it in her to behave like the most awful teenager (my mother seems to find this funny….can’t see it myself). She too went to the Munstead combined training, and as it turned out was a really good girl. Her dressage was hilarious; the accelerator pedal was stuck full on and we had all the steering of a supermarket shopping trolley. More than once I skipped past the white boards that were there as a corner! Then over to the SJ; her first course on grass and she went very green but jumped two clears at 70cm and had a few poles at 80cm when all the fillers went in. Work in progress but she didn’t put a hoof wrong all day so I was really pleased with her. Going back a bit we XC schooled at LMEQ on a very wet and muddy day; all credit to them for allowing us to practise in those conditions, most places would have closed. The group all did really well with some horses making real progress with ditch and water problems. The Black Bomber skipped through the mud like it wasn’t there and towed me around the place having the best fun ever. Then there was the Ginger Rocket, and she looked awesome. Very productive day despite appearances! Jasmine and Tinka have done the big swap or should I say ‘the ego has landed’. We do now have confirmation that she has qualified for the Restricted Novice Championships at Gatcombe, very exciting! I hope lots of people will come and cheer her on! Char has been up a couple of times knocking the edges off our flatwork. It is great having Ehren back on form but Char looked a little horrified when I said I wanted to try a medium soon and muttered something about not being able to get away with moving well and looking beautiful. Took me a while to realise she was talking about Ehren…..ahem. Talking of moving well I have been crippled this week, very frustrating as I was booked to XC school Little Lexi and return to the scene of the crime (Duckhurst) yesterday and I have been unable to ride (or stand straight!). Poor Ehren has missed dancing at Patchetts today….all very boring. Jasmine and Morgan have been flying the flag for Team Lamy dressage divas. 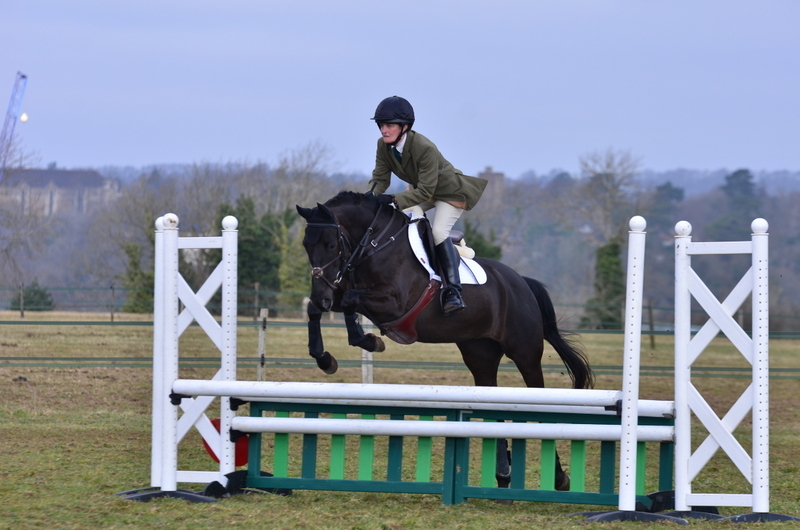 Jasmine has picked up two wins in two weeks, including winning the Medium overall at Eaglesfield BD. Go Kevin! Morgan was also at Eaglesfield and won the Elementary overall with Smurf on a 70% club score, and picked up a third with Henry. Not a bad effort girls! On Saturday we were at Poplar Park for the first event of 2015. It was absolutely freezing as it always is there but just brilliant to be out again. Lily agreed and was beside herself; trembling, sweating and eventually could contain herself no longer and took herself off for a spin round the lorry park (groan). All this before her saddle had left the tack locker! 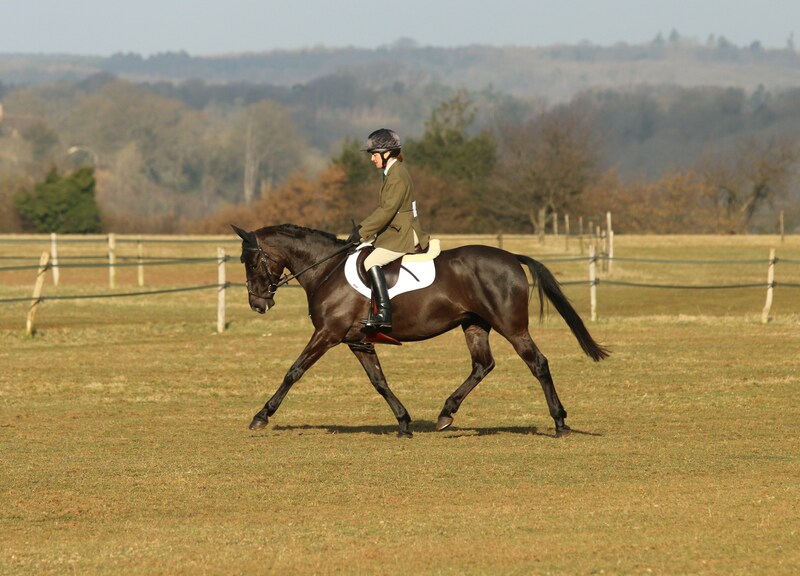 She continued at speed through her dressage test, round the SJ and then finally got a proper gallop. So pleased to see her so happy, starting this year more than ready to run at BE90. Possibly Cheltenham would have been more up her street but she did do us proud and finished 5th. We have gone very slowly with Lily since her surgery and to see her brimming with confidence was just brilliant. Coming up I just hope I am sound enough to get the girls out. 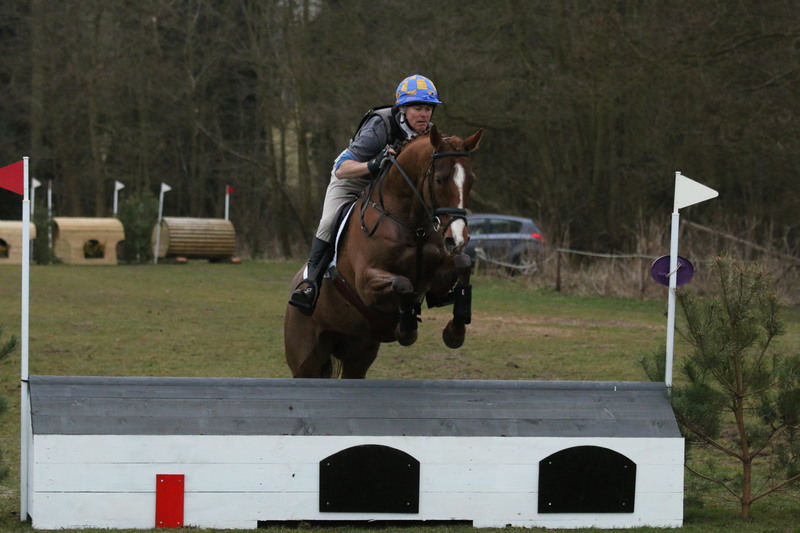 Ehren has some outings planned, I need to find some XC and SJ schooling outings for Lexi with some hunter trials in mind, Lily will do her first BE90, there is a long day XC schooling with three groups at Bonfleur, and Tinka I expect will head to South of England….